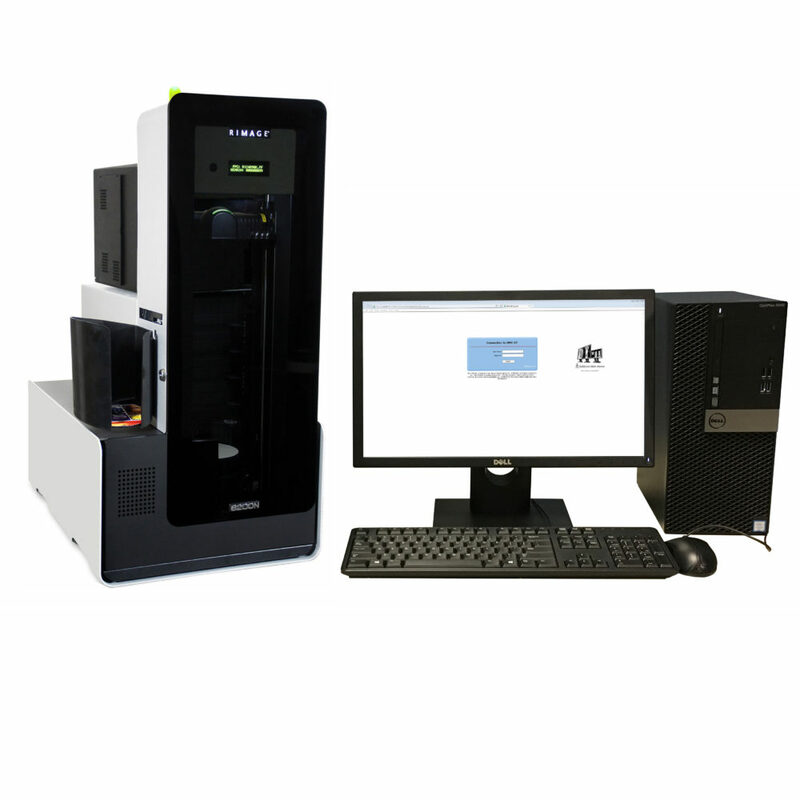 DICOM DMC-EZ 8500 - Perfect for high volume medium and large centers. 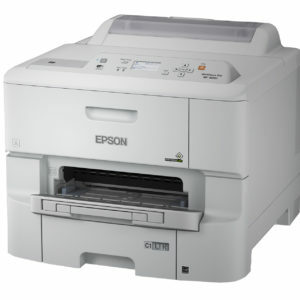 • Perfect for high volume medium and large imaging centers and hospitals. 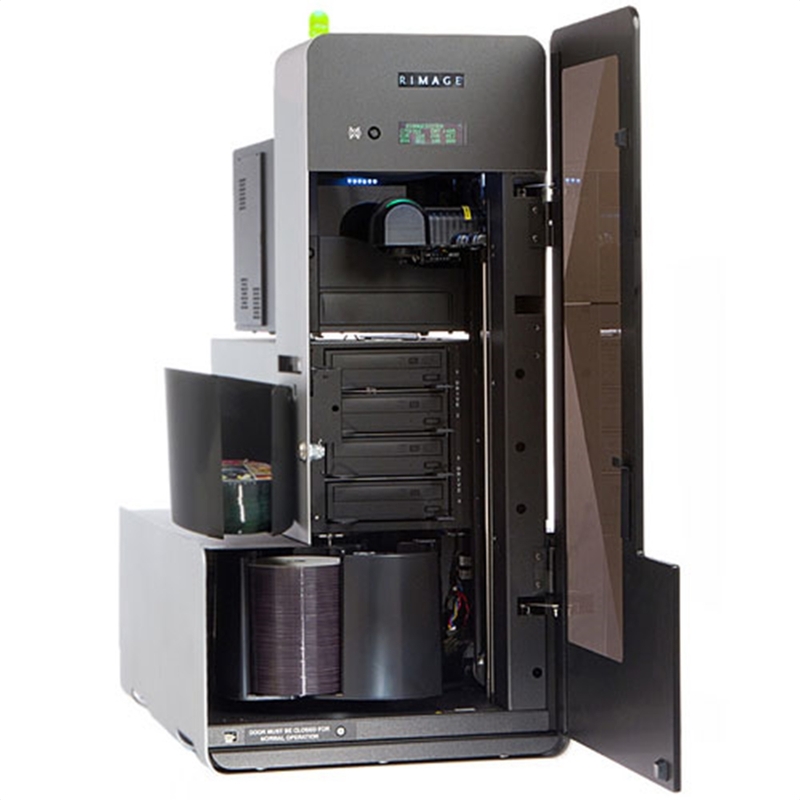 • The DMC-EZ 8500 is a high performance four recorder Robot utilizing an Everest™ Encore thermal re-transfer printer for higher volume CD and DVD production with the highest quality printing. 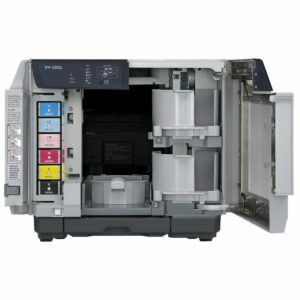 • It supports manual and automated disc creation and labeling. 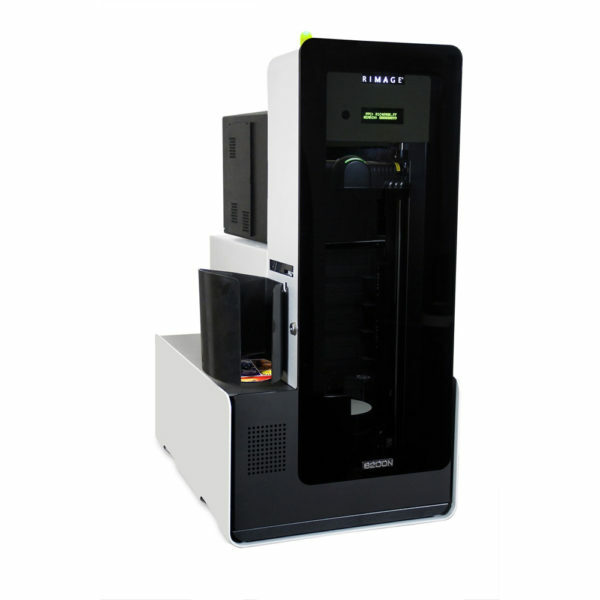 All-in-one, automated disc production device with embedded high performance server. 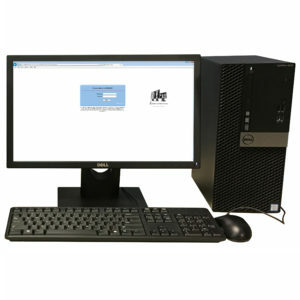 Fits perfectly into any high volume application. 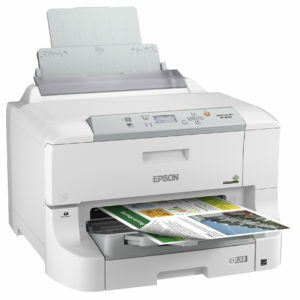 Automatically burns and prints up to 400 discs. 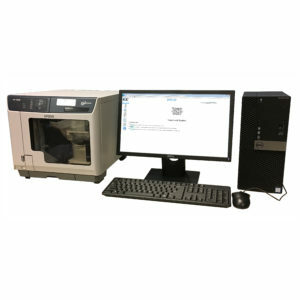 Includes four high speed CD/DVD recorders with Everest Encore thermal printer, full-surface print area at 600 DPI. The unit has four 100 disc input bins and 100 disc external output bin.